It is no secret that I’ve always wanted to run my own cafe since a very young age. The idea of calling the shots around the space and deciding what goes on the menu never failed to excite me. Yet, the mandatory years of education consistently proved to be an obstacle for me. Or at least an excuse I relied on. I recently met with a friend who told me about some student-run businesses. Reeling from the disbelief that engulfed me on how one could balance studying and entrepreneurship, I set off to discover more of these inspiring individuals to learn more about their story. Studying is tough enough – but building and managing a business at the same time? I had so many questions that needed answers! Attention! 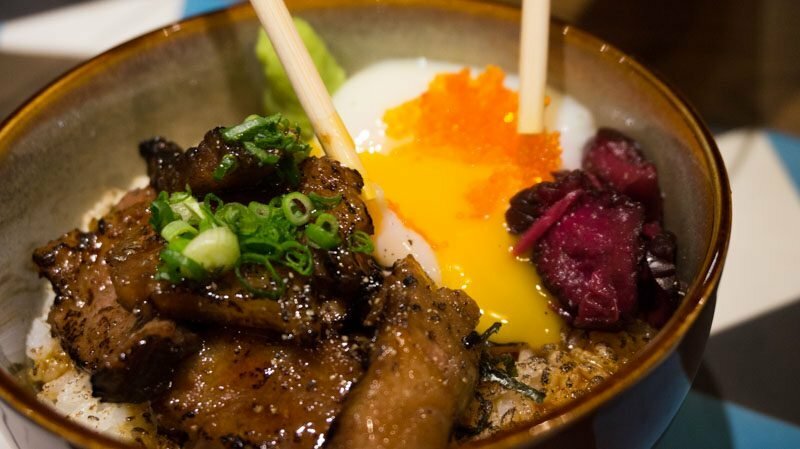 Here are 8 food businesses in Singapore you probably didn’t know were established by students. 1. 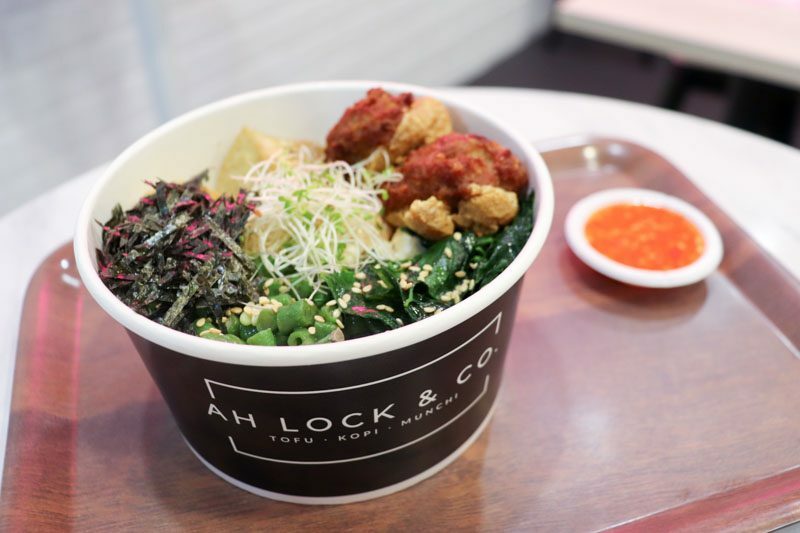 Ah Lock & Co.
New to Tanjong Pagar, you’ll find the bougie Ah Lock & Co. outlet, founded by Lee Lock Teng, a part-time engineering student at NTU. Selling Hakka yong tau foo and min chiam kueh (peanut pancakes), the young entrepreneur strives to keep tradition well and alive in Singapore. Shortly after National Service, he embarked on a 100-day sabbatical travelling the world, where he drew inspiration from to enter university. He realised that the mundane days of studying were rather lacklustre and after a year, he decided to pursue his dream of running a business. Ah Lock opened his first shop at Yishun Park Hawker Centre in 2017 together with his mother. Now, his second stall in the CBD enclave carries a hipster vibe to appease the young with traditional hawker food. Times were rough as he had to be accountable for both his school fees and operation costs but the tough times didn’t last. In the first year of business, Ah Lock handmade all the yong tau foo, while his mother attended to the vegetables because they didn’t have the money to hire labour. Approximately half a million Hakka tofu pieces were single-handedly churned out by the hardworking lad – while studying at the same time. His utmost passion into getting Singaporeans to understand the dish itself ultimately paid off as he recalls being invited to prestigious events held in iconic locations like the Istana, where he held the honour of feeding prestigious individuals. Ah Lock’s signature Hakka Tofu Rice Bowl (S$7.80) is a definite go-to if you’re looking for an healthier yet satisfying meal. 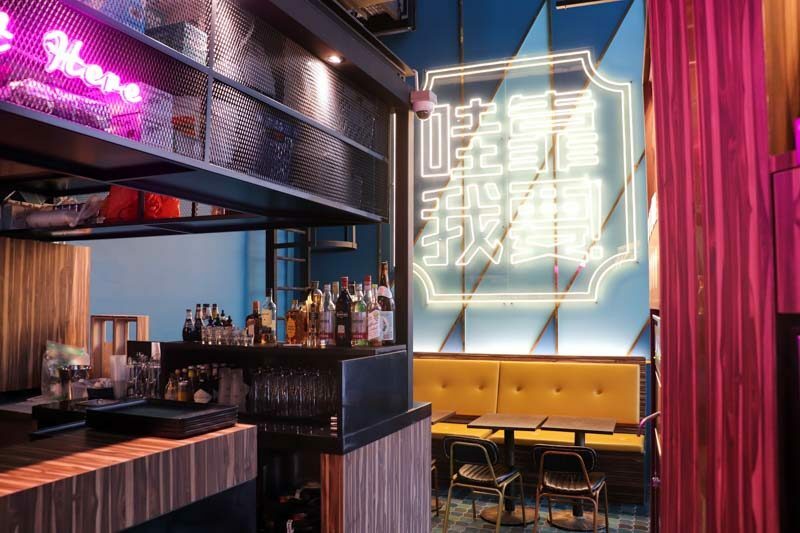 With a generous helping of greens and perfectly crisp stuffed yong tau foo, the bowl could not be more befitting of showcasing Ah Lock’s passion for food. The humble chap believes in word of mouth to reach out to other Singaporeans about this dish and I can vouch in due time, Ah Lock will get the recognition he deserves. 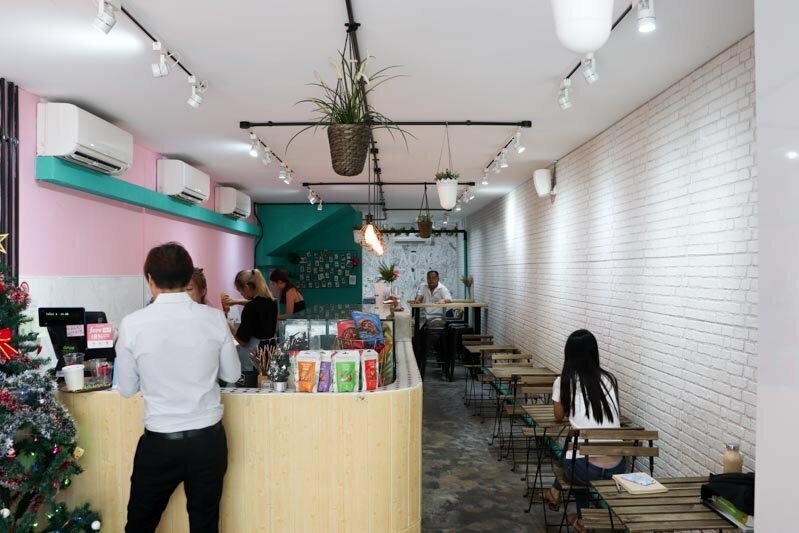 Opened in December 2016, An Acai Affair made its debut in the Katong district. Spearheaded by SMU Business students Anna Ng and Isabel Lee (not pictured), the franchise now has four branches, with the latest instalment set to be at Changi Airport’s Jewel in April 2019. Always holding the idea of running a business close to their hearts, both girls were even more determined to make it a reality after their friendship grew over an internship at the same company and travels around the world. It all started with one irrational move. Yet, it turned out to be the best spontaneous decision of the duo’s lives. They simply saw a space for rent, called the agent and sealed the deal. With a timeline of one month prior to their launch, they had no clue what the business would sell and how they would gather their finances. Furthermore, university exams were happening concurrently, yet the two students were determined to develop a positive balance. Two years later, those obstacles proved to be no challenge for them. 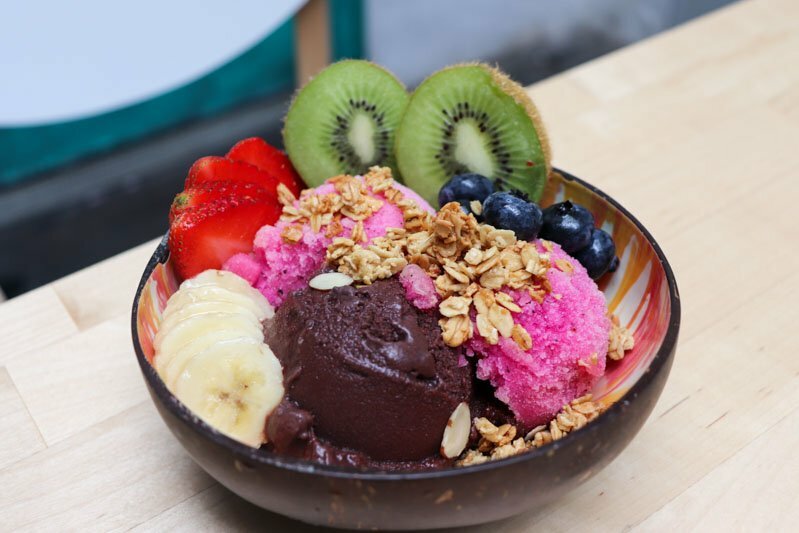 Now, An Acai Affair prides itself on serving healthy acai bowls, 100 per cent organic and free from additional preservatives. 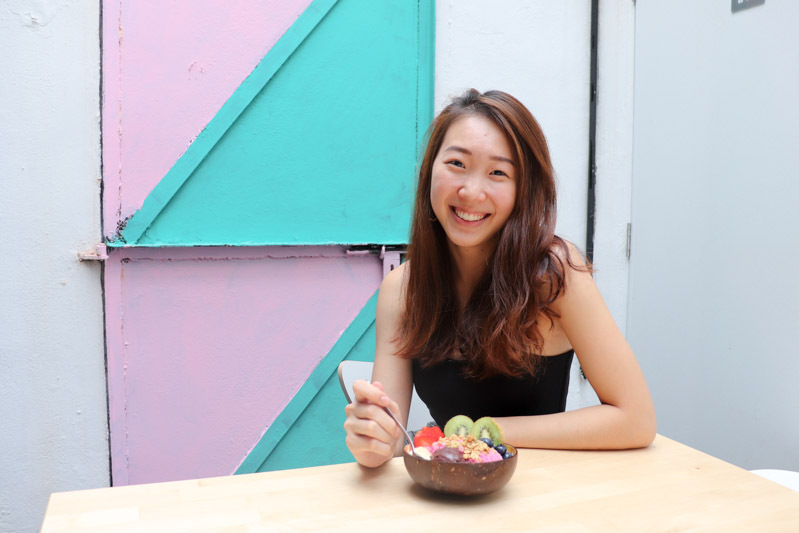 With items like Pitaya Punch (S$9.60), these healthy bowls are set to give your body a treat, as well as sweeten up those Instagram feeds. Locked in with an array of fresh fruits, passionfruit sorbet and a dollop of superfood acai, it’s the perfect bowl of goodness for any occasion. As they plan to expand to different cuisines and even overseas branches in the near future, the ladies are looking to focus on the business full-time once they graduate from university in 2019. Their sacrifices to make ends meet between their education and enterprise did not come easy but they couldn’t be happier with how far they’ve come – all because of one gutsy move. 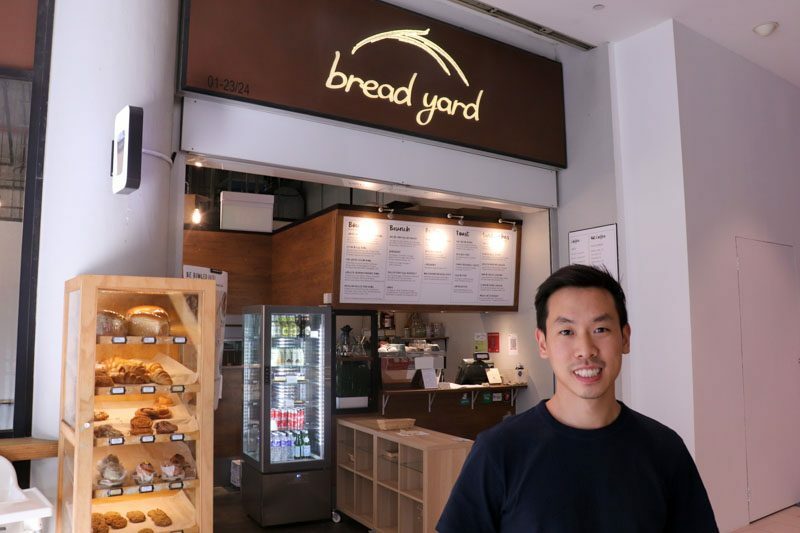 Tucked along a small, quiet corner at Fusionopolis, you’ll find Bread Yard started by Ivan Ting, a graduate from SUTD. With fresh bakes delivered daily from his factory in Mandai, the young man is the living example of how faith can move mountains. It all started from the book Start-Up Nation, written by Dan Senor and Saul Singer. The concept of the book encompassed the story of Israel’s economic miracle and Ivan drew inspiration from the wondrous recount. He began conceptualising how he as one individual in the world, could contribute. Initially wanting to open a fish sandwich shop, he chanced upon the technicality of bread-making which got him more curious into exploring the complex process. In 2011, he opened his first shop at SUTD. In 2015, Ivan moved the outlet to the heart of one-north. Right then, he coped with the pressure of examinations and relocating the business, and his faith to make things work proved to be bigger than his problems. 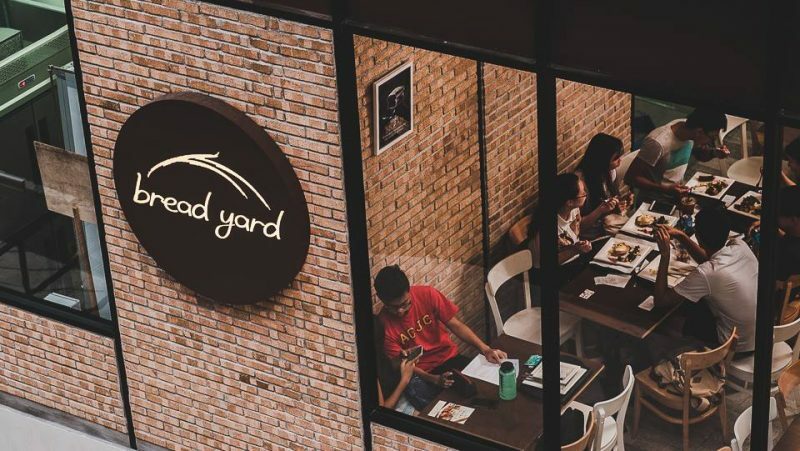 Throughout the past seven years of Bread Yard’s operation, Ivan saw himself taking small absences from university to commit wholeheartedly into his fruit of labour. With immense support from his family, the soon-to-be father now runs the shop full-time. 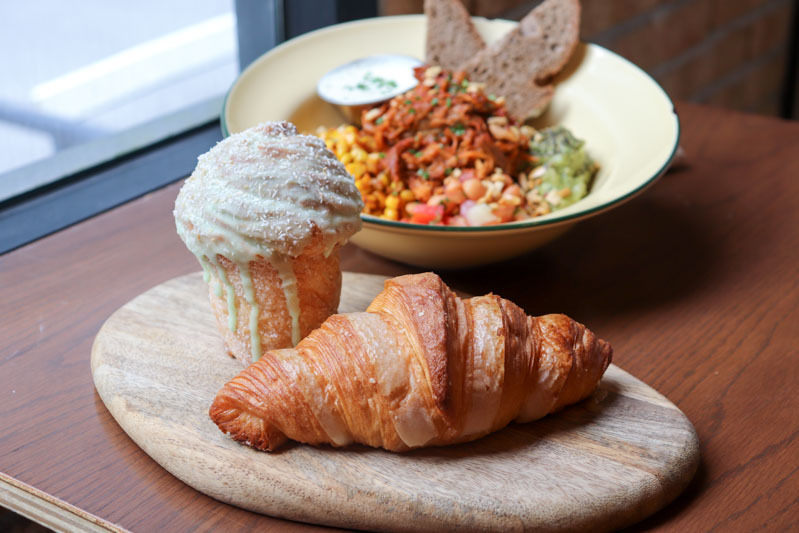 The quaint cafe now serves hearty brunch options and fresh pastries and bread like the Mexican Pulled Pork Bowl (S$14) and Kaya Cruffin (S$4.50). Yet, it’s not just their food that keeps the customers coming back for more but also Ivan’s pride in practising quality service. Ivan’s journey in identifying his strengths is definitely one to tell the aspiring entrepreneurs. Ultimately, it’s how much you can make of an opportunity, regardless of how big or small it is, and bread yard testifies it. 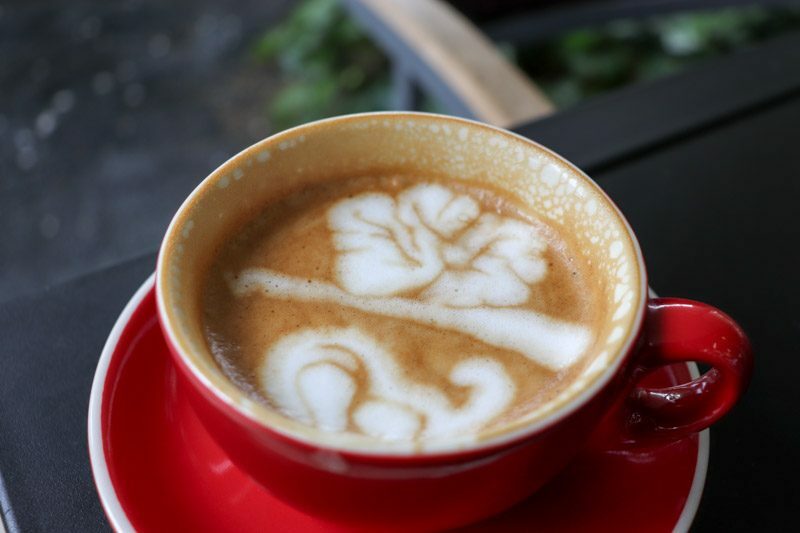 The social enterprise Foreword Coffee is more than just your next-door cafe. With a ‘people first’ mission and a whole lot of heart into social inclusion, the then-NUS Psychology student Lim Wei Jie went forward with making his vision a reality. 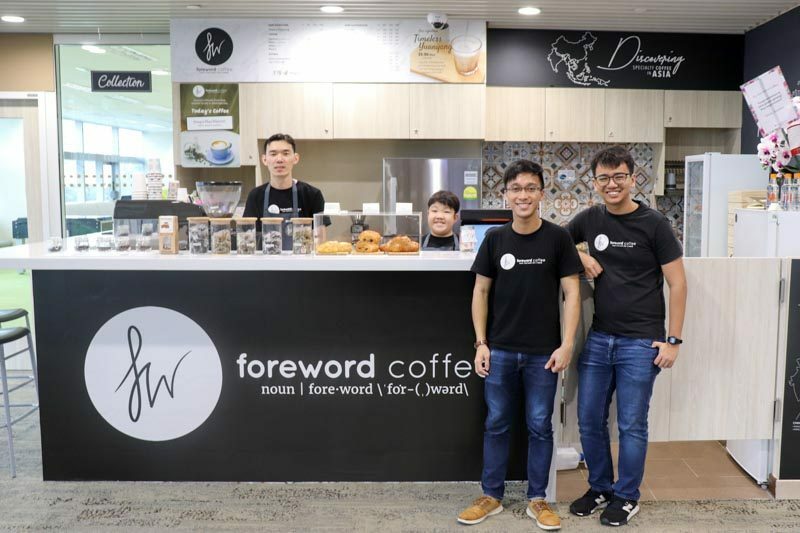 Together with NUS Economics undergraduate Nadi, who joined in February 2018, Foreword Coffee embarks forward (pun intended) on a journey with the pursuit of empowering differently-abled individuals through coffee. Also defined as the introduction of a book, the coffeehouse launched first at NUS in April 2017, then moved out to Civil Service College and Centre for Healthcare Innovation in July and October 2018 respectively. Hiring people who are hard of hearing, have autism or cerebral palsy, this business model that Wei Jie has adopted compacts his ideology of providing opportunities for them to showcase their talents and challenge societal stereotypes. In fact, the free-spirited duo feels that hiring this demographic of individuals has proven to be extremely advantageous because of their meticulous attention to detail in their work. Both branches currently have managers who are deaf but that has not proven to be a challenge one bit. Proudly using Asia-imported coffee beans, signature blends such as the Timeless Yuanyang (S$5.50) aptly showcase their coffee devotion. A common notion of coffee-making is often associated with an intricate process and working with differently-abled people may affect the training structure. The time taken to train them extends as long as three months but for this pair, it was all about working around their strengths – not weaknesses. 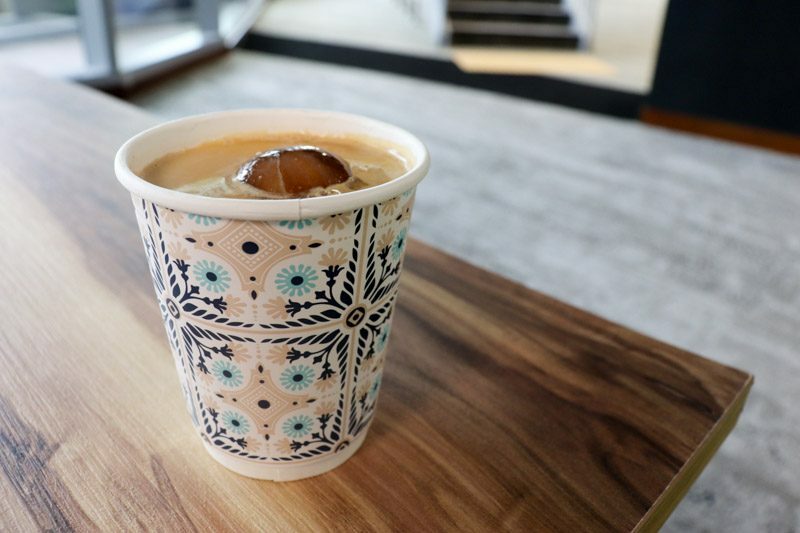 As they slowly endeavour into addressing environmental sustainability with reusable coffee cups, I know for a fact that impossible does not exist in the dictionary for this steadfast duo. 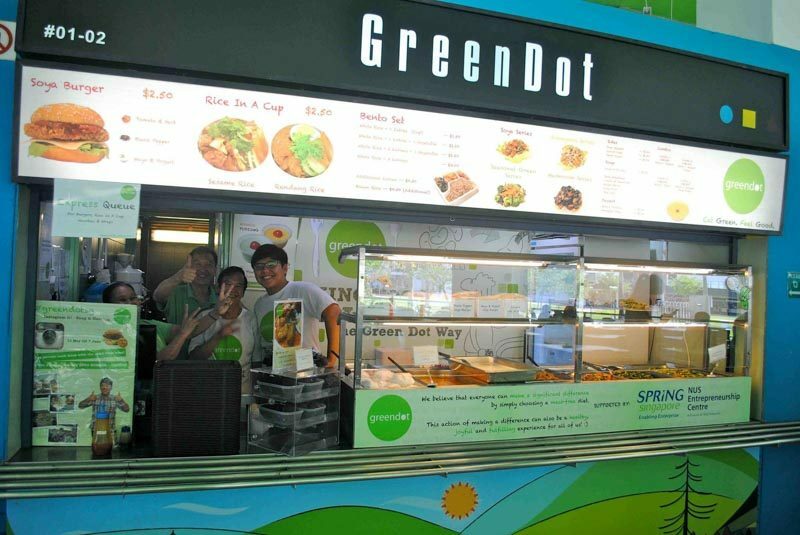 Whether you’re a vegetarian or not, the popular franchise Greendot is definitely no stranger to Singaporeans. 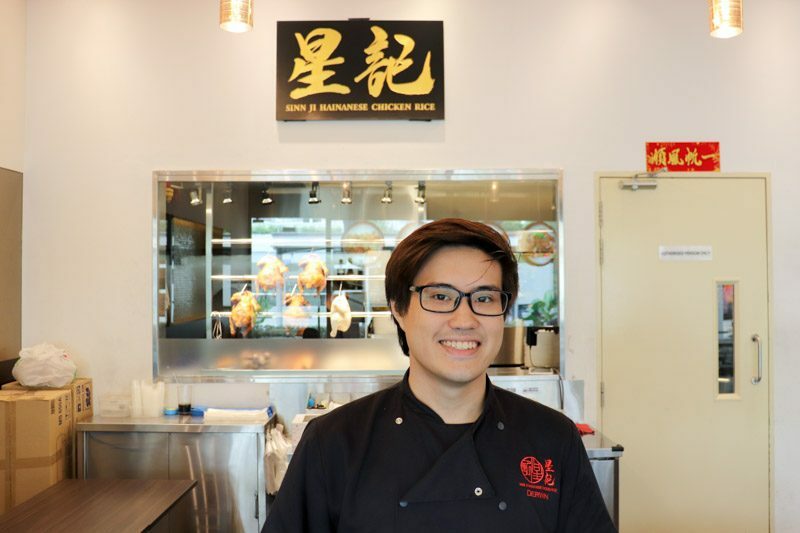 Fu Yong Hong, a second-year student of NUS at that time, started out the business with his co-founder Justin Chou, at a canteen stall at Temasek Polytechnic in 2011. Troubled by the lack of meatless options in schools for his friend Justin, Yong Hong was resolved to make greener options more accessible and available. The secondary school classmates were both invested in promoting a healthy meat-free lifestyle not just for vegetarians, but for all. However, it wasn’t always smooth sailing for the duo. With more than half of their partners leaving before the opening of the first stall and Yong Hong managing studies simultaneously, obstacles arose in spearheading a business. Weighed down by inexperience, additional hours of labour and troubleshooting had to be put in at their own expense. Weekends were sacrificed and university classes had to be scheduled to make ends meet for Yong Hong’s education and business. 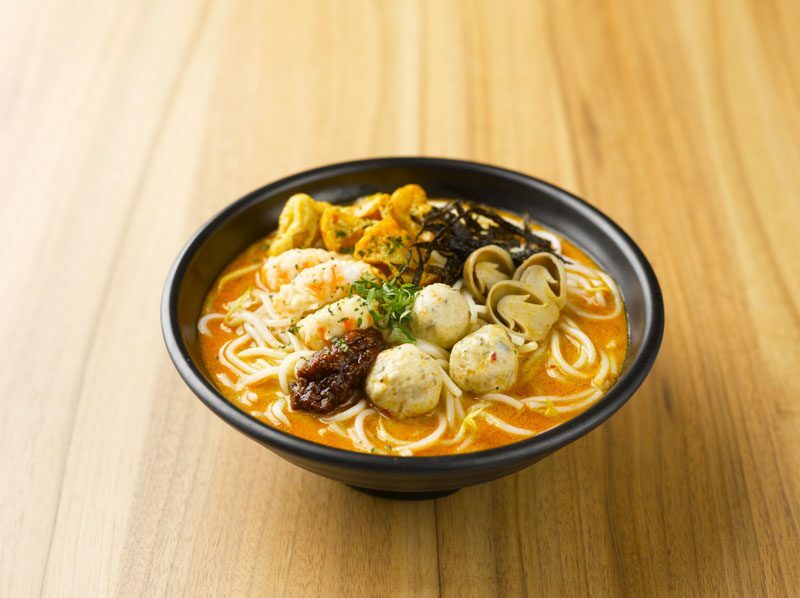 Greendot serves up vegetarian renditions of classic local fare such as Vegan Laksa (S$7.50) and Lion Mane Mushroom with Turmeric Rice (S$8.90). 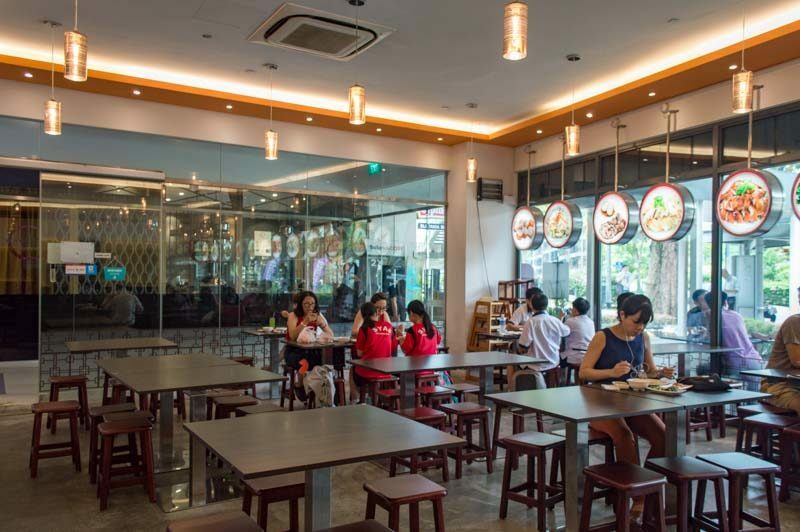 Seven years later, the small canteen stall has now popped up in several malls nationwide, totalling to a whopping 10 outlets. The go-green eatery needs no more words because their actions have proven how far anyone can go with a vision. 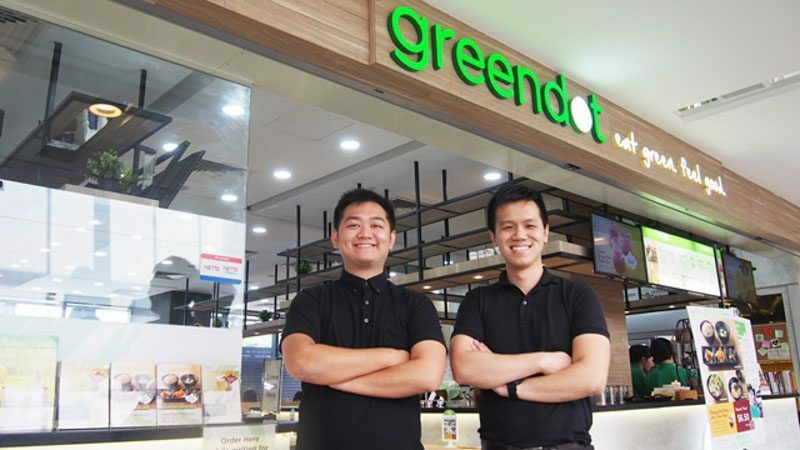 For more information on Greendot’s outlets and opening hours, check out their website. 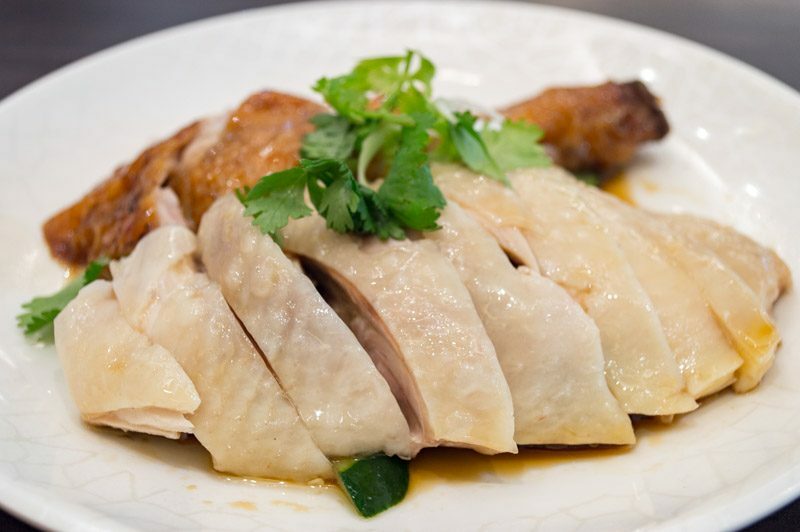 Rising to fame is the modest Sinn Ji Hainanese Chicken Rice, located at Novena. The young laoban Derwin Chan, was only a freshman at university when he opened the shop in 2015. Now 27, he is currently waiting to graduate from RMIT University at SUSS. Encouraged by his grandmother’s way of raising his family, Derwin was always inspired to run a business himself. Despite her traditional beliefs yearning for her grandson to become a banker, he boldly went on to establish Sinn Ji Hainanese Chicken Rice. Determined to gain some knowledge on running a business, Derwin also enrolled himself into a Business and Marketing course in university that year. The situation started off rocky, as he recalled struggling over high rental costs and school fees. Selling only three to four chickens a day, it was hard to make ends meet. Not forgetting the treacherous journey of tertiary education, Derwin worked 18 to 20 hours a day, in and out of school and the outlet. Now, the succulent poached chicken has attracted a fair bit of the crowd. The Mixed Quarter Chicken (S$10) offers the best of both worlds for all to savour. The next time you’re at Sinn Ji Hainanese Chicken Rice, don’t assume the youthfulness exuberated from young boss Derwin means inexperience. For behind this young man lies a story of true perseverance and tenacity. 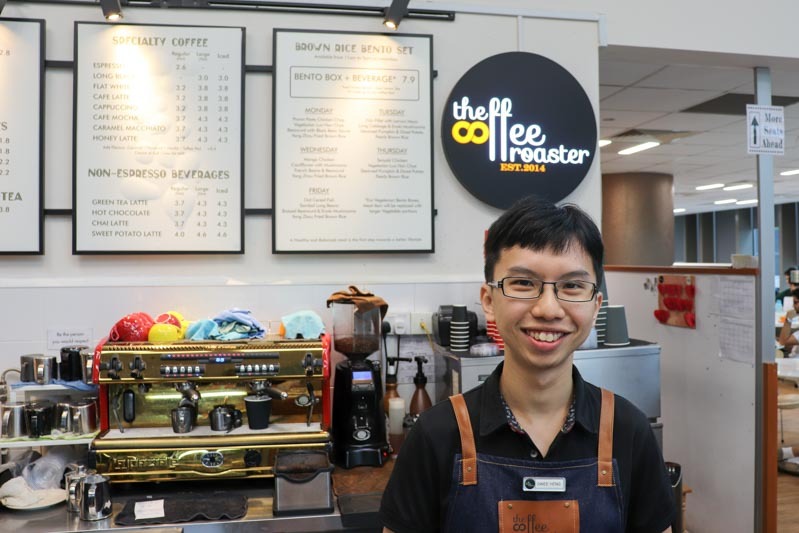 No stranger to the media, The Coffee Roaster at NUS has drawn in a fair bit of attention mostly because of the founder, Ang Swee Heng’s story. The university freshman always had a profound attachment towards running a business. Piecing that with his unending love for coffee, Swee Heng and his mother established their first branch at Tanjong Pagar in 2014. Inevitable obstacles arose as the central outlet and the end of their lease had them at the crossroads. Yet, it was no more than a steep learning curve to learn from for the ever-optimistic leader. When a rental space opened up at his school, he decided to bring work closer to school and continue the business from there. 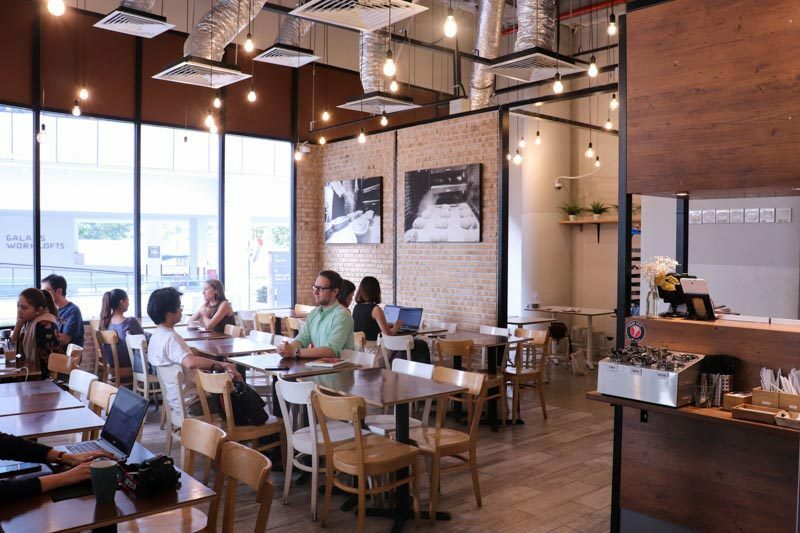 The NUS Business graduate credits the curriculum of his university education to have given him essential takeaways to apply to the structural and program management of the cafe. 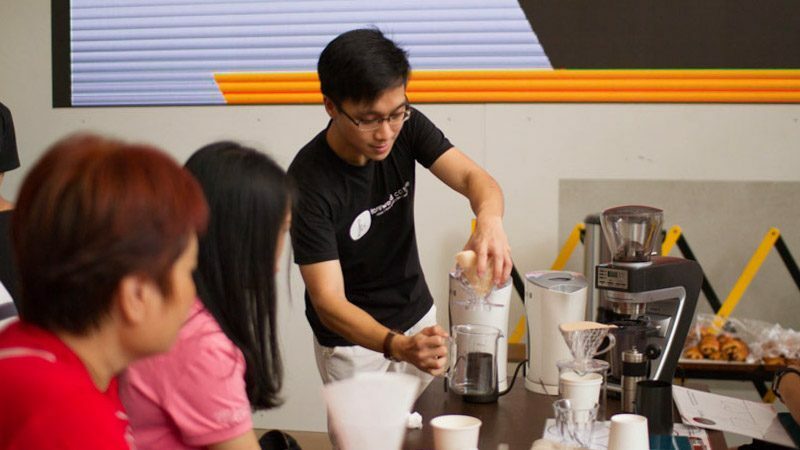 Swee Heng not only helms the nooks of the espresso machines, but he also runs The Coffee Academy which runs corporate workshops, as well as other mobile events. 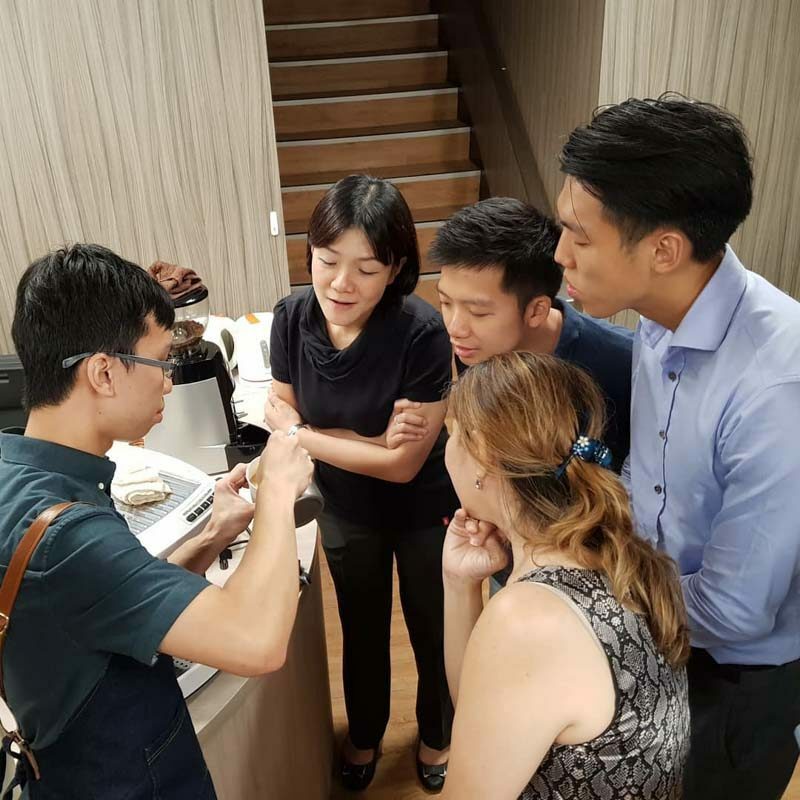 Currently, the only vendor in Singapore to hold workshops for more than 100 pax, the unassuming start-up has conducted sessions for companies such as Gleneagles Hospital. With an age deviation of three to eighty years of age partaking in his coffee lessons, the passion of this zealous individual could not be clearer. Popular amongst the student crowd and also their signature creation is the Honey Latte (S$4.30). Born out of their regular customer Tony’s unusual order (shoutout to Tony, you’re a legend), the healthier sweetener actually helps round off the sharper edges of espresso to produce a fuller flavour. Throughout his journey, Swee Heng made necessary sacrifices to get to where he is. The fun days of university had to be put on hold but he saw infinite potential in his career, which pushed him to continue breaking boundaries. “I think schooling is the best time to start a business. You get to control your time and effort.” The success of The Coffee Roaster speaks for itself about how sheer determination can make the impossible, possible. Last but not least, Waa Cow will definitely ring a bell whether or not you know it for their mouth-watering donburis or as a Hokkien slang. 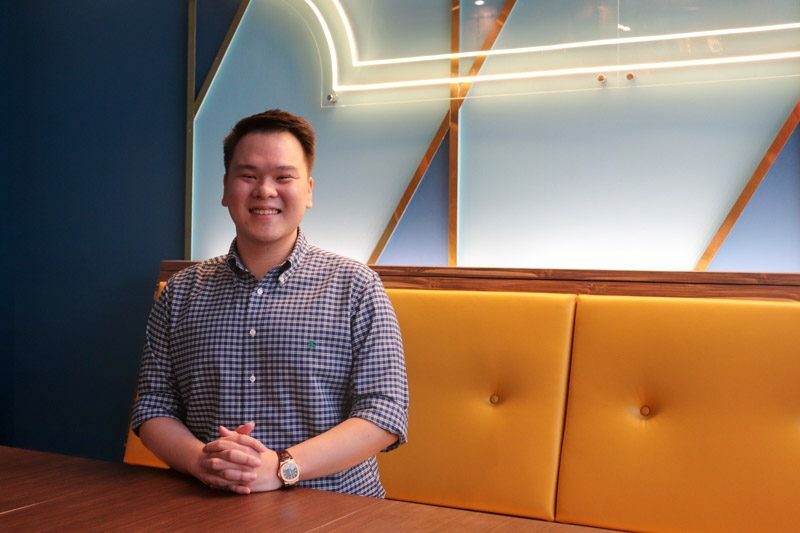 Aaron Yeo, then NUS Masters of Applied Economics student, snatched the opportunity in 2016 for a space at his university to open its flagship store with two of his friends. The three musketeers have known each other since Junior College and had entered food competitions together back in their undergraduate days. Their first establishment 4Point3 cafe in 2012 was one of the many experiences they learnt from entrepreneurship but they soon went on to pursue their own paths. Driven by the attitude that learning never really ends, Aaron went forth to pursue his master’s degree. Midway, he realised that he was not fully committed to this education and regathered his crew to start Waa Cow. 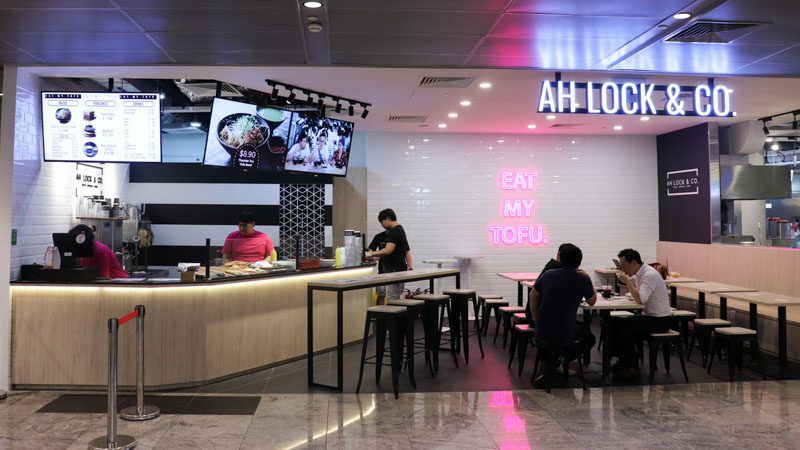 From a meagre S$53 of earnings on their opening day, the trio now runs four outlets nationwide including prominent CBD areas, such as Marina One and Raffles Xchange. Aaron’s dream of becoming a boss as a child was challenged when he became one himself. It was not all relaxation and games but rather, endless amounts of sacrifices like working on Sundays, forgoing social gatherings and many more. Yet, he appreciates how the establishment has become a second home to many. Suddenly, it was not his story that mattered but rather – the stories he journeyed along with his customers that kept him going. The beef house serves up specialities such as Signature Torched Wagyu Beef Bowl (S$19.90) that is guaranteed to satiate meat lovers. Their latest outlet at Marina One also offers beers on tap and other boozy beverages. Throughout balancing his studies and his business, Aaron’s priorities swayed more towards developing the business and soon decided to relinquish his degree. Yet, the little nuggets of wisdom he picked up from school were not in vain. For more information on Waa Cow’s outlets and opening hours, check out their website. As students, tough times may seem never-ending as you approach the end of a milestone. As entrepreneurs, challenges are bound to arise with every step you take in growing the business. For these individuals, the odds stood no chance. Of course, the list doesn’t end here, it can only grow. To the rest of you I have missed out, together with the budding entrepreneurs, to you I say: ‘Tough times don’t last, tough people do.’ Keep fighting!